Bonaire, the middle of the three Dutch Leeward Antilles, is an island of austere beauty formed from ancient fossilized coral reefs and sits on the lip of a deep ocean trench that separates it from the South American mainland. The 38 by 11 kilometers (~23.6 by 6.8 miles) island is riddled with caves and dominated by forests of cacti and acacia that thrive in its arid, dry conditions. Bonaire’s most celebrated natural resources are found in the Bonaire National Marine Park. 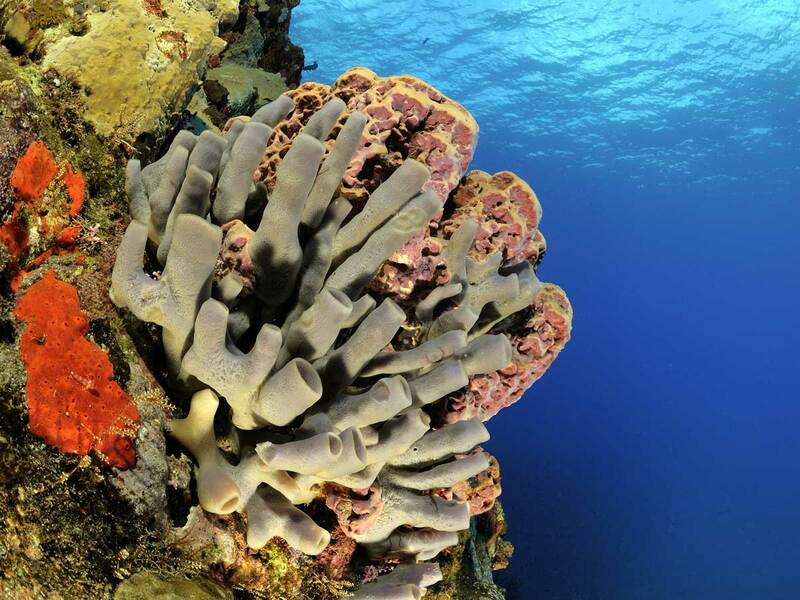 Bonaire’s fringing coral reefs are amongst the most diverse and healthiest in the Caribbean. Regularly ranked in the top five dive destinations in the Caribbean, Bonaire’s reefs have plentiful coral and are home to over 300 species of fish, including hard-to-spot frogfish and seahorses. The marine park encircles the island of Bonaire protecting globally threatened reefs, seagrass beds and mangrove forests. A world leader in conservation management, the marine park has been designated a UNEP Demonstration Site. In Bonaire, all sharks and three ray species are assigned as protected species, but enforcement remains a problem. The Bonaire Marine Park is supervised by Stichting Nationale Parken STINAPA Bonaire, a non-governmental, not for profit foundation commissioned by the island government to manage the protected areas of Bonaire. STINAPA is dedicated to manage and share, protect and restore, and promote and educate the resources, biodiversity and values of Bonaire’s nature.